TRAILS and TOURS Network - Flyer. 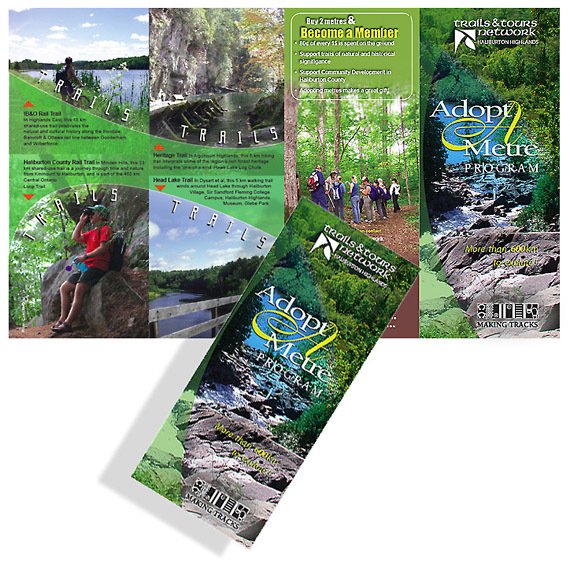 Multiple folded brochure with registration form on reverse side. The design of the Haliburton Highlands Trails and Tours Network Flyer describes the variety of new trails and programming activities. Saturated hues were chosen to enhance natures colours.